How Did Plants Survive and Disperse after the Flood? Biblical creationists are often asked about plant dispersal and propagation after a worldwide, devastating Flood. How many plants and seeds were brought aboard the Ark by Noah? Did some plants and seeds survive the Flood by means of riding atop vegetative mats, or by simply floating along? If so, how were these survivors able to propagate or re-seed after the Flood? Could some plants have survived as airborne seeds or spores? Or were they carried to the different continents around the world by human or animal vectors? The purpose of this paper is to address these and other questions regarding post-Flood plant survival and dispersal, and consider mechanisms by which this may have occurred. Plants do a divinely miraculous thing with energy from the sun. They turn sunlight into food. This is essential for animals and mankind because they can't eat sunshine. While early in life animals (and humans who share many similarities) possess all the main structural body parts they will ever have, plants constantly produce new structures throughout their life. Living plants maintain embryonic tissues that both regenerate themselves and continuously generate the basic structures (leaves, roots, stems, flowers and fruits, or cones). However, the way these new growth and reproduction structures are produced may be affected by the environmental conditions the plant is trying to occupy. Plants can control or regulate their internal functions. Like animals, plants produce chemicals called hormones, which are produced in one part of the plant to signal cells in another part to respond. Examples of this are when flowering plants bloom at the most favorable times, when fruit ripens, and when trees lose their leaves in the winter. This ability of plants to add, shrink, or dislodge parts (leaves, stems, flowers, fruits) as necessary to survive gives them a unique design. Unlike animals, plants cannot pick up their entire bodies to find food; however, plants are equipped with other mechanisms enabling them to respond to the environment. The study of an organism’s response to ecological growing conditions is known as environmental physiology. Stress from water loss, air chemistry, crowding by other plants, and flooding can change the way a plant functions. 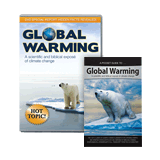 These variations may be affected by genetic, chemical, and/or physical factors.1 Given the intense topic of climate change we are seeing in today’s modern world, this is an especially popular area of study. Table 1. Drift seeds and fruits collected on three-hour walk on the island of St. John. There are two methods of plant reproduction: sexual (seed) and asexual (vegetative). Seed production by flowers or cones requires the transfer of pollen: a sharing of genetic material between two plants. In nature this results in offspring that differ from each other and from their parents. Vegetative propagation is designated “clonal” by scientists: young progeny are genetic copies of the parent plant. Many plants have alternative methods of reproduction, the most common being through vegetative rhizomes. Rhizomes are creeping, underground, root-like stems that run out from a plant with the ability to send up a new shoot, i.e., new clone-like plant. A single rhizome plant can occupy an area of several feet with its roots growing in an interconnecting system. This plant feature is an adaptation to fill an area rapidly. As plants are a major component of food production in our world, seed crop research is a major emphasis in the 21st century. Since humans cannot create more land, researchers are investigating how to rapidly increase plant growth and seed production. Arabidopsis thaliana grows in many areas throughout the world and was the first plant to have a completed genome sequence. The sequence showed a very simple plant whose entire genome consists of a relatively small set of genes that dictate when the weed will bud, bloom, sleep, or seed. This plant is a member of the cabbage family known as Cruciferae due to its uniform flower structure that resembles a cross. A. thaliana is self-pollinating, with a rapid life cycle (5–7 weeks). This abundant seed producer is a worldwide celebrity genome plant because of its physical capabilities and relatively simple genetic traits. Only a handful of genes are known to be directly involved in determining its seed size.14 So when A. thaliana plant researchers claim “evolution might play a role in how fast a species can move across a region or continent,”15 it is already evident that plants can/do adapt and grow rapidly into barren, new, isolated, or hostile growing areas, as the Creator gave them provision to do in a cursed world. When laboratory experiments don’t allow new traits to enter the A. thaliana plant population, they claim they have “stopped evolution.”16 In reality the plant is continuing to grow at a more constant rate because it is not being influenced by any environmental change. In nature there is always change: wind, rain, light, temperature fluctuations, floods, droughts, herbivory (browsing by animals), man-made influences, and so on. Further plant adaptability examples will establish how plants are affected by environmental change—note that this is not molecules-to-man evolution, as suggested by evolutionary research in plant migration. When extreme changes occur, plants can be kick-started to rapid growth or to a steady state of reserve (dormancy). Most alpine tundra plants likewise reproduce through rhizomes; moreover their roots are 2–6 times longer and wider underground than the plant height above ground (Figure 1). Alpine plants can carry on rapid rates of metabolism when the ground begins to thaw. These plants rely heavily on food reserves stored in old evergreen leaves (another adaptation) and in large root systems underground.24 This enables the plants to rebound vigorously when spring arrives. Figure 1. Alpine Draba plant with roots three times the bulk below ground. Image adapted from Atlas der Alpenflora. When stripped of its original vegetation by fire, flood, or glaciers, areas of bare ground do not remain devoid of plants and animals for very long. The area is rapidly colonized by many types of plants. This newly colonized environment allows wildlife species and new plant species to become established, which in turn allow even other plants, mostly trees, to grow. The transitional series of plant communities that develop are called stages, while the final stable and mature habitat is called a climax community. Ecological succession is the term for the community’s development by action of vegetation leading to the establishment of new inhabitants. Succession is the universal earth process of directional change in vegetation during time. It can be recognized by the progressive change in the species composition of the community being observed. The mechanism of vegetation succession (Figure 2) is foundational for wetland restoration and conservation, and has become a central issue of wetland science research. Although several factors (such as soil nutrients, moisture levels, and plant competition) influence the succession of wetland vegetation, water (hydrological) conditions are the most significant and complicated elements. Wetland hydrology includes water-level fluctuation, flood inundation probability, hydro-period related variables (start time, duration, and end time of flooding), and sedimentary material. The wetland landscape pattern can present habitat patches for adapting to hydrological processes at different levels. Changes in wetland landscape patterns can provide a comparative analysis of how wetland plants adapt and respond to flooding stress. Figure 2. 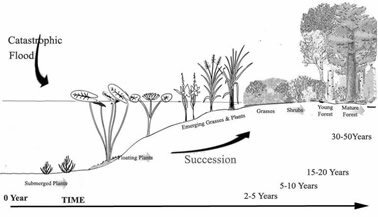 Plant succession (growth stages) from a ‘wet’ land to a mixed forest. Image adapted from U.S. Geological Survey by G. Allen. In China, floods played a critical role in accelerating the process of wetland sedimentation, which in turn had significant influence on wetland vegetation succession. Fine sediments transported by floodwaters can provide accumulation of soil nutrients. Environmental change is any change in an environment to which a plant must respond by species adaptation or individual physiological flexibility. Change can be gradual, such as from mountains or deserts forming, or a change can be quick, such as from floods, volcanoes, or earthquakes. We don’t know how much mixing of fresh and salt waters would have occurred during the Flood or exactly what the salinity of the water was post-Flood.28 What we do know is, due to abundant dormant buds in the wood, olive is easy to propagate and was widely cultivated in ancient times.29 Olive trees are very tough and resistant to drought, disease, and fire. Moderately salt tolerant, these trees can live for hundreds of years. The olive tree root system is very vigorous and capable of regenerating the tree even if the above ground structure is destroyed. Branching side shoots or underground runners (suckers) sprout readily from olive stumps or broken branches. Since olive trees are this hardy, the concept of a floating olive tree sprig surviving and sprouting in a short period of time is completely reasonable, even after the catastrophic Flood. Figure 3. 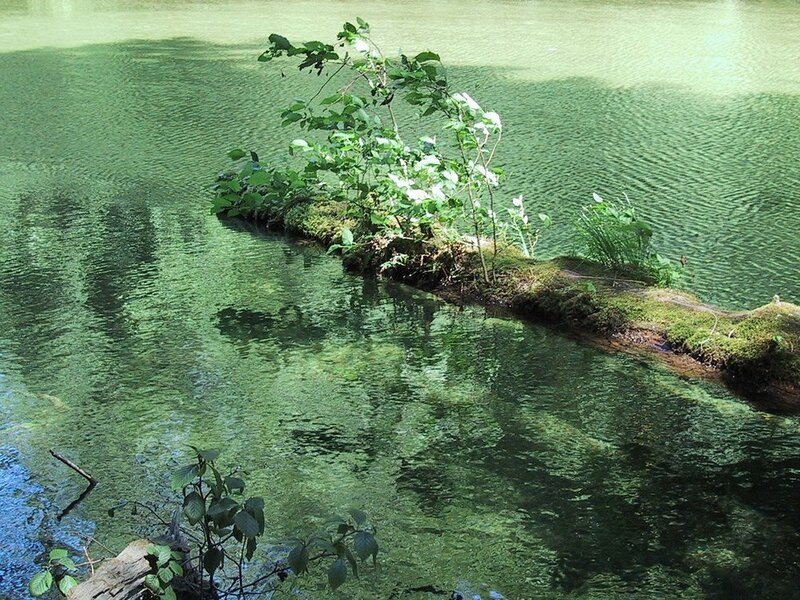 Modern day depiction of a dead floating log with growing plants. Image by Superbass, via Wikimedia Commons. The Ark Encounter in Williamstown, Kentucky, depicts active effort by Noah and his family to preserve some types of plants (particularly food sources) while aboard the Ark.30 Noah would likely have preserved as many plants as he could. Noah may have preserved seeds and cultivated plants so that there would be fresh food to eat during the one-year voyage. Noah may have potted seedlings to preserve useful trees and shrubs. The Ark’s upper deck beneath the long window may have been specially designed to accommodate these plants, turning part of the Ark into a vast greenhouse. Most plants could have survived outside the Ark upon floating rafts of vegetation as seeds and as debris that could have gone a long way toward propagation of at least some plant life in the post-Flood world.31 And this brief exercise demonstrates that it is conceivable that the rest of the post-Flood plants were recolonized both from seeds, which remained dormant during the Flood, and from vegetative propagation of one form or another. Plants are extremely well adapted to specific growing elements, and since reproduction is a survival necessity, plants were equipped “from the beginning” with a variety of reproductive mechanisms. The precise, timely, and hardy responses to environmental changes by various plant-growing traits exemplify God’s awesome benevolence and intelligence in designing plants and enabling their survival even in a cursed world. As we have seen, following many climate or irregular earth process catastrophes, God's creation was given an amazing ability to reestablish itself, and natural system recovery always begins with the appearance of plants. Previous Article Resolving Human Evolutionary Dating Dilemmas Next Article From Where Did the Earth’s Water Come? Anthony J. F. Griffiths et al., “Genes, the Environment and the Organism,” chap. 1 in An Introduction to Genetic Analysis, 7th edition (W.H. Freeman, New York, 2000): https://www.ncbi.nlm.gov/books/NBK21842. R.O. Parker, Introduction to Plant Science (Abingdon: Taylor & Francis, 2004), 277. Carolyn Corn, “Hawaii Seed Dispersal Methods In Hawaiian Metrosideros,” (Honolulu, Hawaii: Island Ecosystems IRP, U.S. International Biological Program, 1972), https://scholarspace.manoa.hawaii.edu/bitstream/10125/15266/1/06.pdf. Jonathan D. Sauer, Plant Migration: The Dynamics of Geographic Patterning in Seed Plant Species (Berkeley, CA: University of California Press, 1988), http://ark.cdlib.org/ark:/13030/ft196n99v8/. Rick Parker, Plant & Soil Science: Fundamentals & Applications (Boston, MA: Cengage Learning, 2009), 333. Brian James Atwell, Plants in Action: Adaptation in Nature, Performance in Cultivation (London: Macmillan Education AU, 1999), 596. Clara Moskowitz, “Extinct Tree from Christ’s Time Rises from the Dead,” Live Science, June 12, 2008, http://www.livescience.com/2602-extinct-tree-christ-time-rises-dead.html. Clarence R. Quick, “How Long Can a Seed Remain Alive?,” in The Yearbook Of Agriculture (Washington, D.C.: The United States Department of Agriculture, 1961), https://naldc.nal.usda.gov/download/IND50000162/PDF. W. P. Armstrong, “Ocean Drift Seeds and Fruits,” Wayne’s Word, December 3, 1998, http://waynesword.palomar.edu/worthypl.htm. David Wright, “How Did Plants Survive the Flood?,” Answers in Depth 7 (2012): October 2012, https://answersingenesis.org/the-flood/how-did-plants-survive-the-flood/. Krishna Ramanujan, “Overharvested Amazon Fish Disperse Seeds Long Distances,” Cornell Chronicle, April 18, 2011, http://www.news.cornell.edu/stories/2011/04/overfished-amazon-fish-disperse-seeds-long-distances. William E. Finch-Savage and Gerhard Leubner-Metzger, “Tansley Review: Seed Dormancy and the Control of Germination,” New Phytologist 171 (2006): 501–523, http://www.seedbiology.de/html2/dormancy06-abs.html. “First-Ever Complete Plant Genome Sequence Is Announced International Team Reveals DNA Secrets of Arabidopsis thaliana,” National Science Foundation, December 13, 2000, https://www.nsf.gov/od/lpa/news/press/00/pr0094.htm. University of British Columbia, “Evolution Drives How Fast Plants Could Migrate with Climate Change,” ScienceDaily, July 28, 2016, http://www.sciencedaily.com/releases/2016/07/160728155005.htm. Hans de Kroon et al., “High Levels of Inter-Ramet Water Translocation in Two Rhizomatous Carex Species, As Quantified by Deuterium Labelling,” Oecologia 106, no. 1 (1996): 73–84. Amy G. Salzman, “Habitat Selection in a Clonal Plant,” Science 228, no. 4699 (May 1985): 603–604, doi:10.1126/science.3983647. D. S. Ranwell, Ecology of Salt Marshes and Sand Dunes (London: Chapman & Hall, 1972), 258. Jonathan D. Sauer, Plant Migration: The Dynamics of Geographic Patterning in Seed Plant Species (Berkeley, CA: University of California Press, 1988), 44. S. Tatár, “Seed Longevity and Germination Characteristics of Six Fen Plant Species,” Acta Biologica Hungarica 61 (2010): 197–205, doi:10.1556/ABiol.61.2010.Suppl.19. Kim D. Coder, “Flood Damage to Trees, College of Agricultural & Environmental Sciences,” University of Georgia, http://www.caes.uga.edu/topics/disasters/flood/articles/treedamage.html. Larry W. Price, Mountains and Man: A Study of Process and Environment, (Berkeley, CA: University of California Press, 1981), 296–298. Andrea Thompson, “Mount St. Helens Still Recovering 30 Years Later,” Live Science, May 17, 2010, http://www.livescience.com/6450-mount-st-helens-recovering-30-years.html. Yanxia Hu et al.,“Monitoring Spatial and Temporal Dynamics of Flood Regimes and Their Relation to Wetland Landscape Patterns in Dongting Lake from MODIS Time-Series Imagery,” Remote Sensing 7, no. 6 (2015): 7494–7520, https://www.researchgate.net/publication/279224526. Andrew A. Snelling, “How Could Fish Survive the Genesis Flood?,” chapter 20 in The New Answers Book 3, ed. 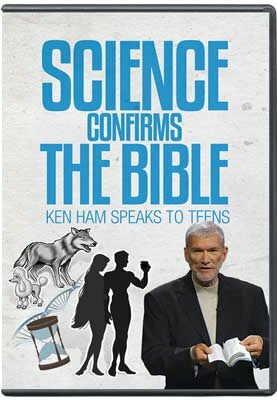 Ken Ham (Green Forest, AR: Master Books, 2010), 195–204. D. Zohary and P. Spiegel-Roy, “Beginnings of Fruit Growing in the Old World,” Science 187 (1975): 319–327 in Mohamed Chliyeh et. 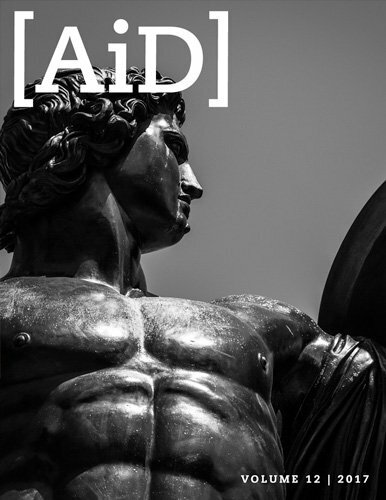 al., “Bibliographic Inventory of the Olive Tree (Olea europaea L.) Fungal Diseases in the World,” International Journal of Pure & Applied Bioscience 2, no. 3 (2014): 46–79. “How Did We Make the Lettuce and Cabbage Garden?,” Ark Encounter, July 21, 2016, https://arkencounter.com/blog/2016/07/21/how-did-we-make-lettuce-and-cabbage-garden/. “Noah’s Floating Farm of Animals and Plants,” Ark Encounter, August 31, 2012, https://arkencounter.com/blog/2012/08/31/noahs-floating-farm-of-animals-and-plants/.